for you to soar with Diamond Aloha Power in 2018 and beyond! CELLS AND AROUND YOUR ENERGY FIELD! Founder Jacqueline Joy's Premier Transmission of the Sacred Diamond Chamber into your physical cells and around your Energy Field holds you in Alignment with your Diamond Self, and the Universal Power of Heaven and Earth, ignites your Diamond Blueprint, and fills your cells with the Diamond's high-frequency vibrations of Joy, Equanimity, Clarity, Harmony, Grace, Ease and much more ... providing an extremely SAFE, NURTURING, PRISTINE HAVEN for your highly refined, Multidimensional Golden Child's "I AM" Presence to breathe freely, live authentically and walk confidently in the density of our world. You will be eligible to participate in ALL future "LIVE" Diamond Installation events for upgrading your Diamond Installation - FREE OF CHARGE. THREE OPTIONS: PREREQUISITE: "PREMIUM DIAMOND CONNECTION"
Imagine driving your Multidimensional Galactic "Diamond-on-Wheels" ... clear, calm, relaxed, focused, expanded, joyful, and free ... vibrationally upgrading your car AND the way you move about the world, while emanating the vibrational Power of Diamond Aloha Consciousness and Joy wherever you go. DIAMOND FINANCIAL FREEDOM &AMP; FLOW! 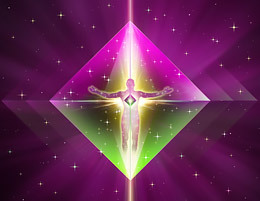 This Multidimensional Diamond Installation infuses your cells with a new Vibrational Infrastructure that holds your Alignment with the Truth of "M"oney as Divine Energy, the Infinite Flow of this Divine Energy, and the Joy of Unconditionally Receiving from the Unlimited Possibility of your Diamond Christ Consciousness. Empower yourself to stand strong in this Alignment and be a Builder of the NEW Multidimensional Diamond Financial Freedom & Flow Infrastructure in our world, as the 3-D vibrational infrastructures of old continue to break down. A Direct Energy Transmission of the Diamond Chamber into every atom and molecule of your cell phone, which empowers you to use your cell phone in Diamond Flow, Health and Wealth of Being! An excellent solution for shielding your Self from the degenerative radiation effects of extensive cell phone use, the Diamond Cell Phone Installation infuses your cell phone with high-frequency Diamond Energy and "Charges" your communication with Diamond Clarity and Harmony. INVISIBLE YET PHYSICAL "ELECTRONIC SMOG"
A Transmission of the high-frequency Diamond Octahedron into and around your electronic device. The infusion of Diamond Energy into your equipment vibrationally Diamondizes it ... Aligning it, and all your activity when using it, with the Power of Diamond Aloha Consciousness and Joy. This Installation transmutes low frequencies emanating from your electronics (especially TV commercials!) 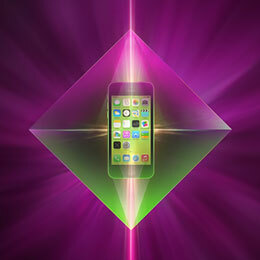 into high-frequency Diamond Joy, Equanimity and Clarity ... and upgrades your devices to operate more effectively and efficiently! The Multidimensional Diamond Chamber is installed into the atoms and molecules of your computer. This Diamondization of your computer brings your computer into vibrational Alignment with your Diamond Blueprint, clears your computer of "electromagnetic smog" that causes confusion, fatigue, overwhelm, fogginess ... and fuels all work on your computer with the Power of Diamond Aloha Consciousness, Clarity and Joy. 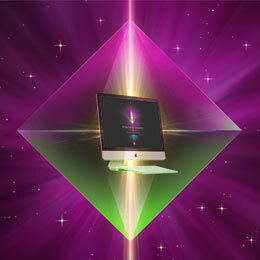 Create a high-frequency Diamond Energy Field wherever your computer is! DIAMOND HOME INSTALLATION 30-Day Installation any time of the year! 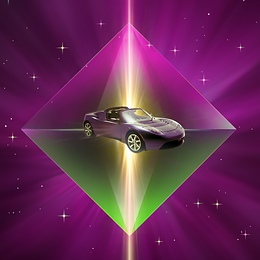 Now available as a recording! A special Transmission of the Sacred Multidimensional Diamond Chamber into every atom and molecule of your Home CLEARS limiting vibrational patterns from the past that are literally stored in the "walls and wiring" of your Home, such as old negative imprinting of stressful family memories/experiences (yours and those who have lived there before you) & VIBRATIONALLY ACTIVATES your home with the Magic, Multidimensional Power and Infinite Possibility of Diamond Christ Joy ... in matter! 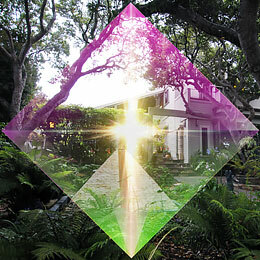 CREATE a Sparkling, Equanimous, Magical Experience for your Self and all who enter your home! DIAMOND CHRIST-MAS HOME INSTALLATION 30-Day Installation of Diamond Christ Consciousness in matter! after receiving the Transmission via recording!! The Multidimensional Diamond Christ-mas HOME Installation meticulously and microscopically CLEARS the accumulation of all density, toxicity, interference, and low vibration energies that are in the way of truly experiencing JOY in your home at any time during the year ... and INFUSES every molecule and atom of your home with the Multidimensional Cosmic Energy of Love and the Infinite Possibility of Christ-mas: Diamond Christ Consciousness "in matter"! CREATE a Sparkling, Equanimous, Magical Experience for yourself, your loved ones and all who enter your home ... and Ignite your Home with the Power of Diamond Christ Joy! This Multidimensional Diamond Installation installs the vibrational Infrastructure for the New Energy Configuration of Diamond Financial Freedom & Flow into every atom & molecule of your Office/Workspace ... Connects and Aligns your Office with the Infinite Flow of the Universal Power of Heaven and Earth ... and infuses the vibrations of Diamond Aloha Consciousness, Joy, Ease, Effectiveness, Efficiency and Excellence into your space. 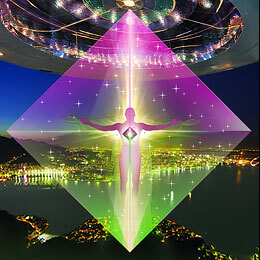 The Diamond Installation for Home & Property is an extremely advanced Transmission, in which Jacqueline Joy works alone in the multidimensional Diamond Energy Field to install the Diamond Chamber - microscopically and macroscopically - in every atom and molecule of your home and property ... aligning your home with the Universal Power of Heaven and Earth and your Divine Blueprint. 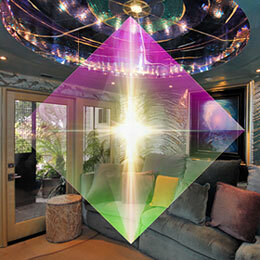 This laser-level Diamond Transmission includes a dynamic, deep energetic clearing at all levels/dimensions ... and an infusion of the high frequencies of Diamond Joy, Clarity and Equanimity in your home and property, creating an exquisite Diamond Haven that holds you and your loved ones vibrationally in the arms of Mother-Father God. 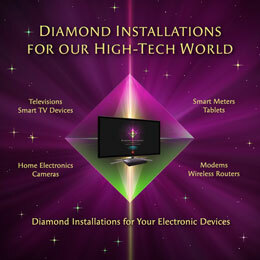 We look forward to creating a Diamondized Aloha World with you!!!! Please contact Sondra@DiamondAlignment.com if you have questions.